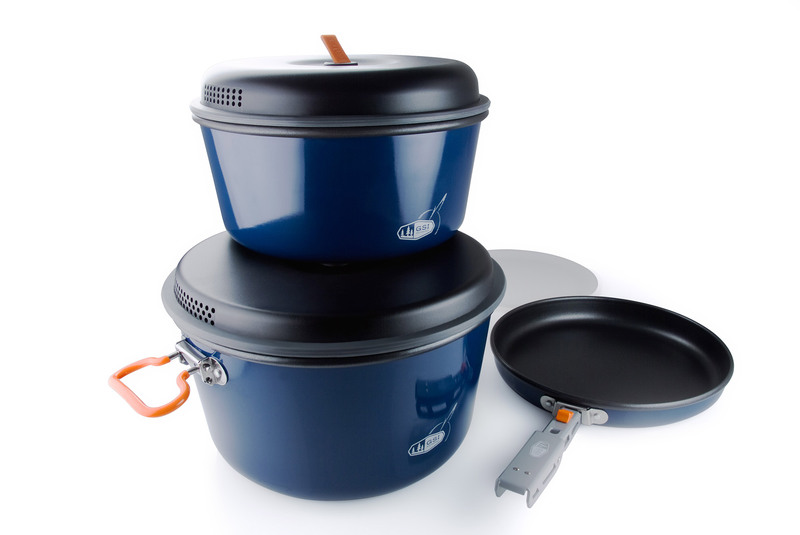 Rent ultralight cook-sets for the solo or paired trekkers from MSGR. 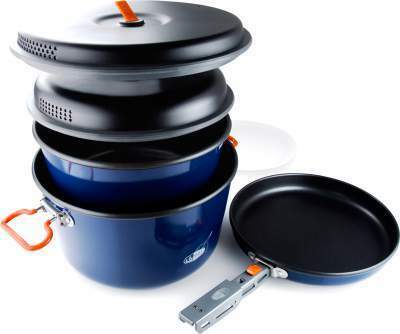 Cook-sets are two-burner camp stoves perfect for creating gourmet meals while car-camping or at base camp, your home away from home. Make your coffee and eggs in the morning and your stew for dinner. 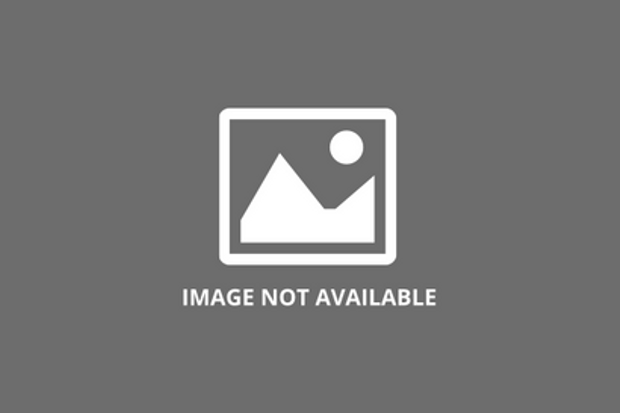 Propane is available for purchase at most sporting goods stores. This two-burner camp stove is built for maximum convenience. insanely easy to operate and generates a hot 24,000 BTU. Omelets, anyone? 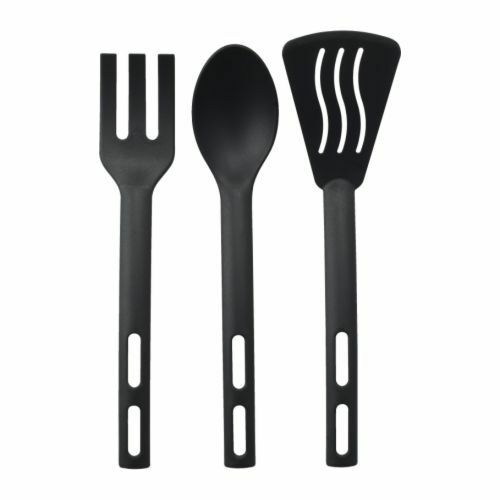 Lightweight utensils can deal with the high temperatures often involved with cooking. A compact and versatile cook set for family or base camping, the Bugaboo Base Camper offers premium performance at an exceptional value. This set includes a 2-liter pot with strainer lid, which in turn nests into a generous 3-liter pot with a strainer lid. A compact and versatile cook set for family or base camping, the Bugaboo Base Camper offers premium performance at an exceptional value. This set includes a 3-liter pot with strainer lid, which in turn nests into a generous 5-liter pot with a strainer lid. Cook a hot meal anywhere, anytime. Whether it’s an emergency or a car camping trip, the compact Camp Chef Butane/Propane 1-burner stove is the stove you want to have with you. Not only does it boast an award-winning design, Camp Chef’s Explorer Camp Stove now comes with a reversible even-heating cast-iron grill with ridges on one side and a flat griddle on the other. 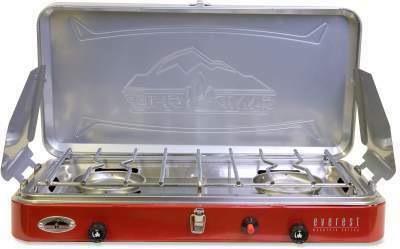 Ready for the camp, cabin or tailgating, the Explorer Camp Stove features two 30,000-BTU cast-aluminum burners. These are surrounded by a three-sided windscreen that blocks drafts and grease splatter. The removable and adjustable legs slide off for transportation and storage. Fully adjustable heat-control dials are easy to operate. Includes 3ft hose and regulator.